It's out. I have a copy in my hands. 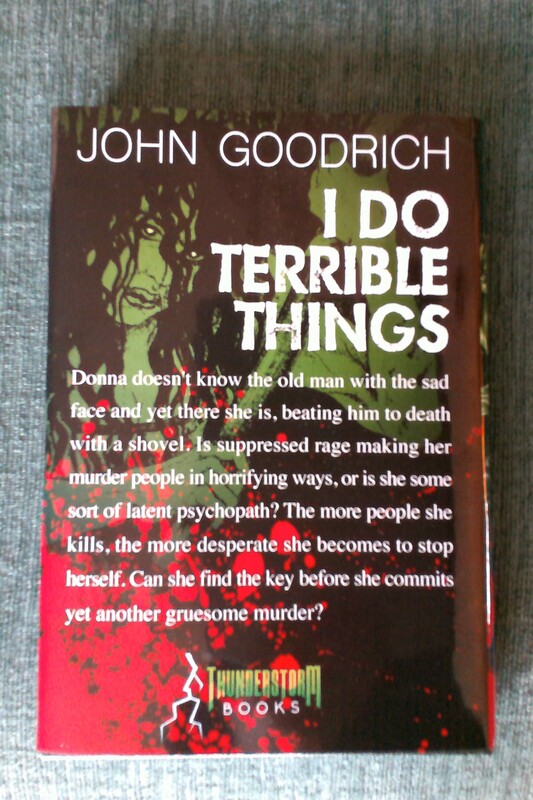 My second novel, I Do Terrible Things, published by Thunderstorm Books. Donna doesn't know the old man with the sad face and yet there she is, beating him to death with a shovel. Is suppressed rage making her murder people in horrifying ways, or is she some sort of latent psychopath? The more people she kills, the more desperate she becomes to stop herself. Can she find the key before she commits yet another gruesome murder? What I really cannot convey in this blog post is the quality of materials. The cover is gorgeous, the hard cover under the dusk jacket is beautiful. 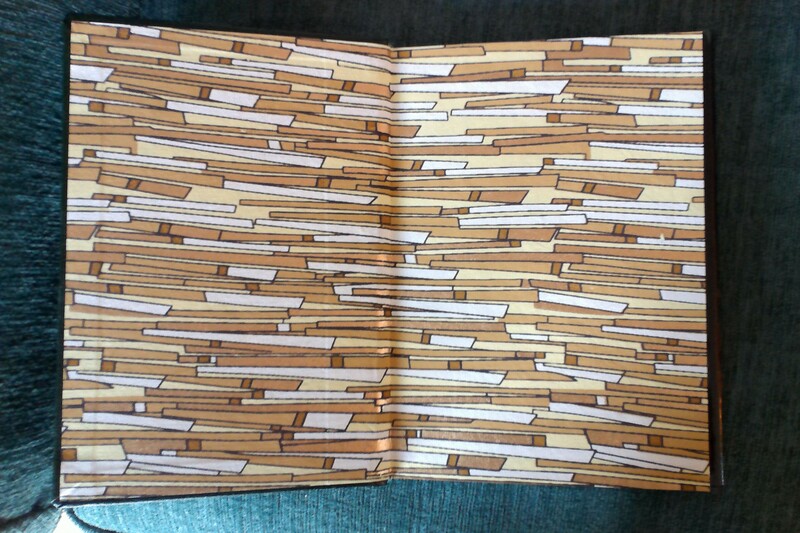 The end papers have been printed with metallic ink so thickly that it's textured. 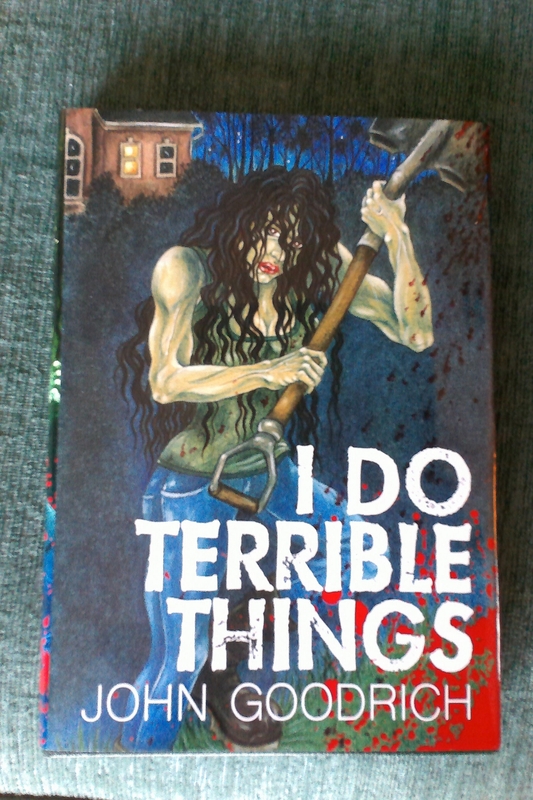 Here's a picture, but it certainly doesn't to the book justice. This is a gorgeous book, and I am ridiculously proud to have Thunderstorm publish it. I can't believe I wrote something that received such wonderful treatment. But I open it up, and there are my words. 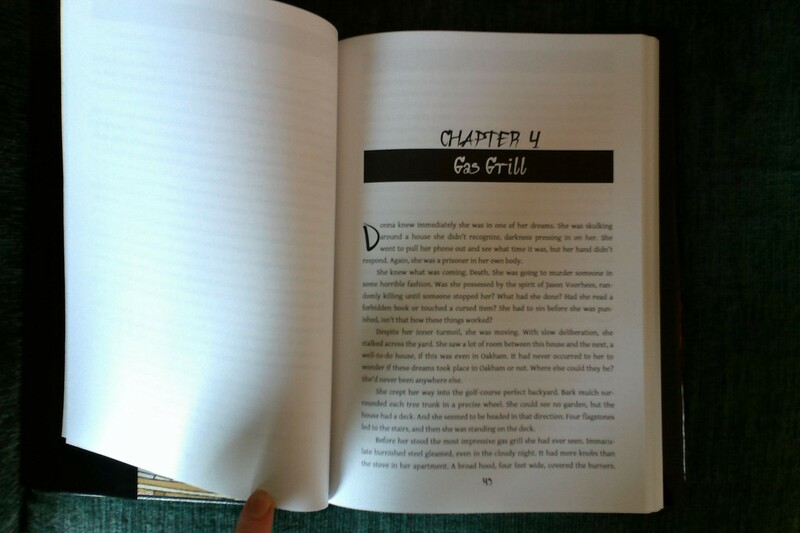 Here's the header for Chapter 4: Gas Grill. Only 64 copies of the book have been made. And I am proud and humbled and excited that Thunderstorm Books actually put this out. Thank you to the Thunderstorm team who made this a wonderful, quality book. 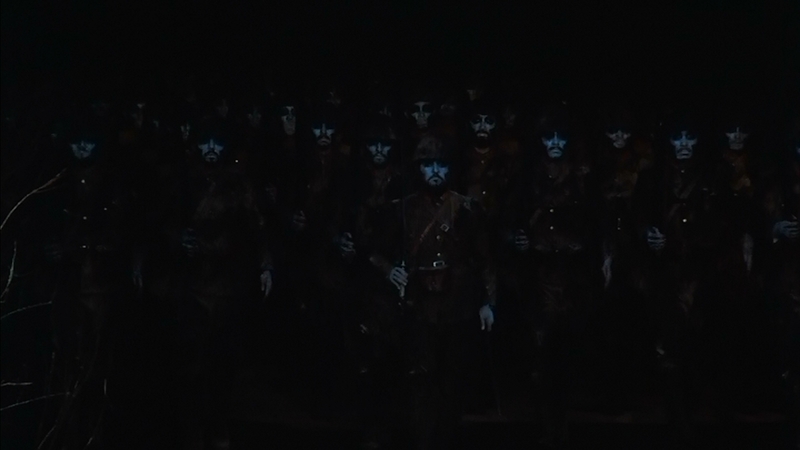 It's Veterans Day. Thank you veterans, for your service, for your sacrifice, for your courage, for the wounds you bear. I hope healing comes soon. At the same time, I wish to express a profound desire that we make no more combat veterans, wound no more people. That some day soon, we can gaze into the eyes of our war dead and say with a clear conscience, that their lives were not wasted.